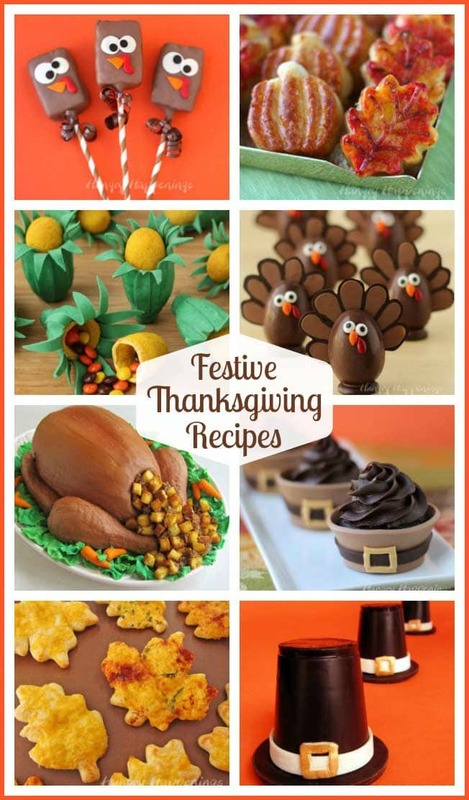 November 21, 2011 By This post may contain affiliate links. 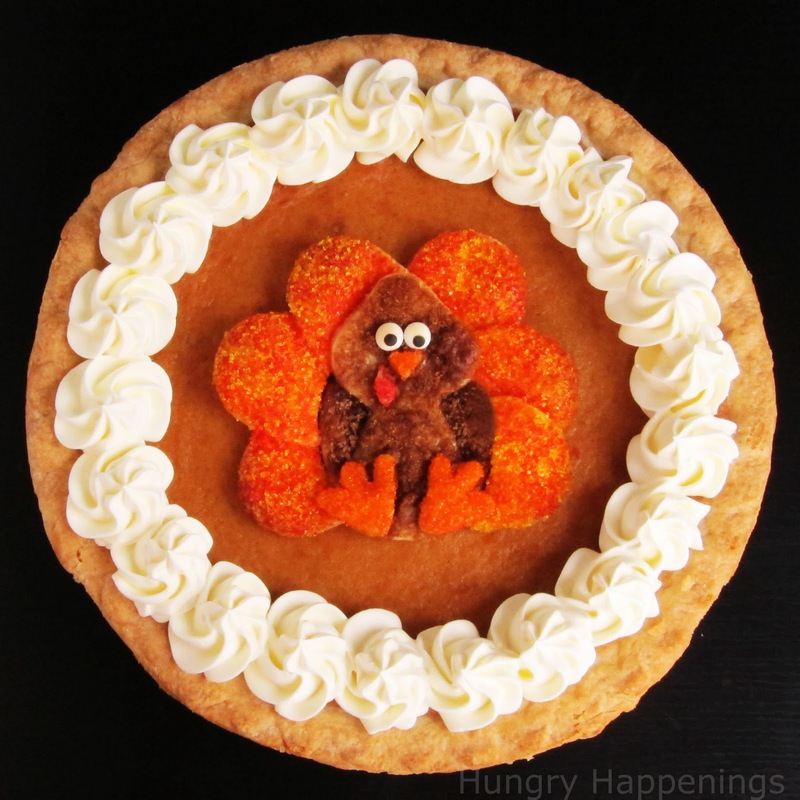 Add a little sparkle to your pumpkin pie this Thanksgiving and make this Decorated Pumpkin Pie! This beautiful dessert will be the center of attention at your family get together, its deliciously creamy and totally festive. Store bought baked goods rarely make it into my house, because I love to bake. 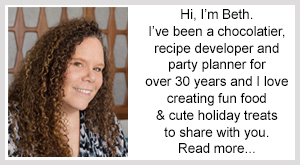 I do sometimes take short cuts and use store bought mixes, but I just love having my house smell of fresh baked goods and would be happy experimenting with a new dessert recipe every day. My waistline wouldn’t approve, so I don’t do it, but I do dream about it, though. Since I married a man who would love to eat pumpkin pie every day, I have found myself trying out various recipes over the years. Each of these homemade pies was delicious, but my husband felt that none of the recipes made a pie that was significantly better than the ones from our grocery store. Although I may not agree, I’m not the one eating the pies (O.K., I do have a slice on occasion, but he eats most of them) and if he is happy with the ones from the store’s bakery, it’s just easier to buy them. The other afternoon when I brought home the pumpkin pie, my husband was ready to cut himself a slice, but he had to wait patiently while I made my little pie crust turkey and took lots of pictures. Fortunately for him, the turkey came together very quickly and my photo session didn’t take too long. *This will make a turkey that will fit an 8″, 9″ or 10″ pie. I used a 10″ pie, so I had room to add a whipped cream border. You can vary the size of your turkey to fit your needs. Roll out pie dough to 1/16″ thick (or simply unroll ready made dough.) Use the template from Burton Avenue as a guide to cutting out the pieces of your turkey. Use an egg shaped cookie cutter or knife to cut 6 Turkey feathers. Use the knife to cut the turkey’s body, feet, beak, and waddle. 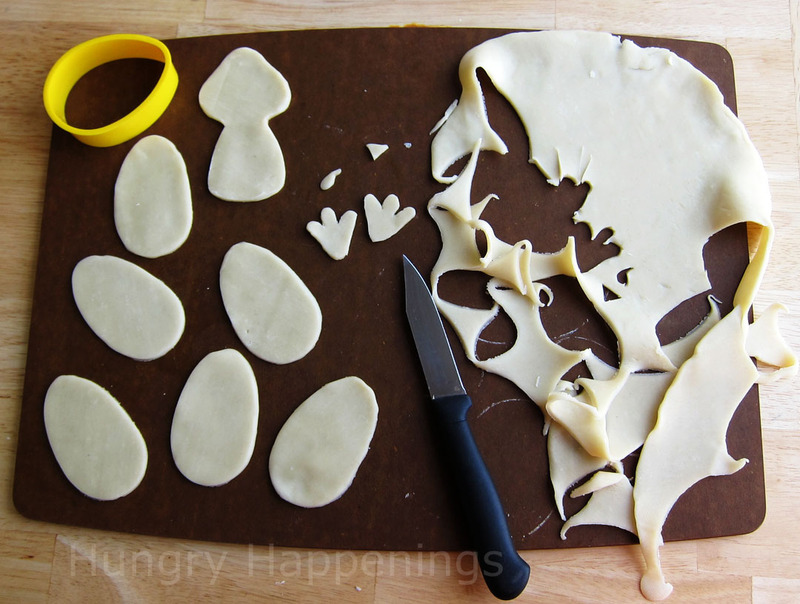 Arrange pie dough feathers as pictured above. 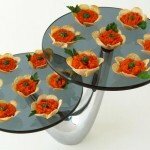 Use a round cookie cutter to cut a circle out of the center of the feathers. 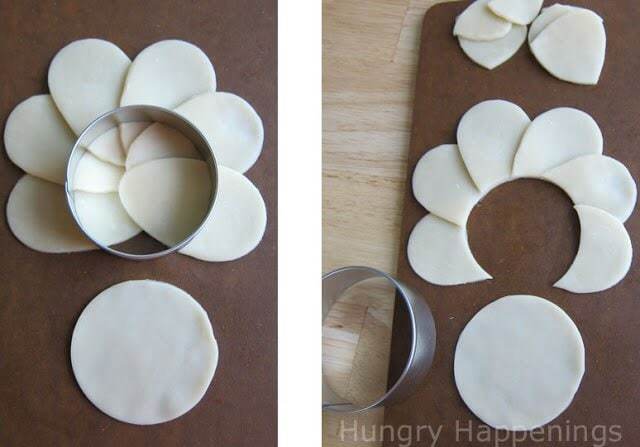 Use the round cookie cutter to cut a circle out of dough. 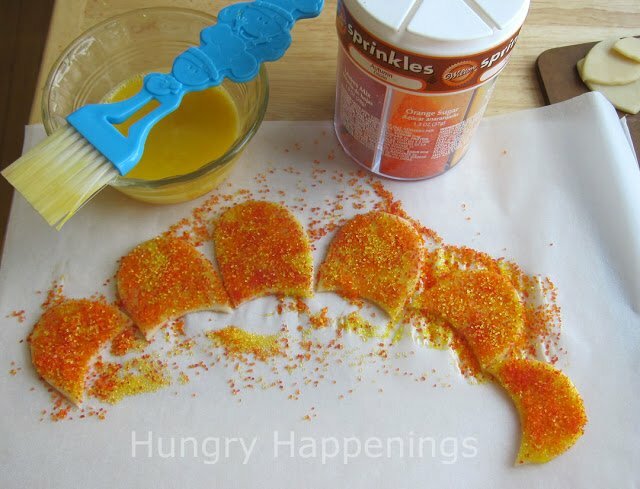 Use a pastry brush to paint egg wash over each of the pie dough shapes and sprinkle on colored sanding sugar or brown sugar. I used brown sugar on the body pieces, orange for the feet and beak, and red for the waddle. I sprinkled on a combination of yellow, red, and orange onto the feathers. Now that I look at the picture of the baked turkey, I think the three sugars blended together to make the feathers look orange. Up close, you can see the variation of color, but in the picture, the feathers look just like the feet and beak. If I make this again, I’ll probably make each feather a different color like Angie did for her turkey tins. Arrange the pieces on a parchment paper lined baking sheet. Set the round in the center of the feathers. Brush a bit of egg wash on the backside of the turkey body and set it on the round. 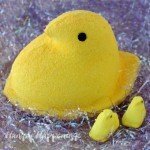 Add egg wash to the backside of the feat, beak and waddle and attach to the body. 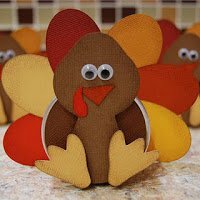 Press two candy eyes onto the turkey. 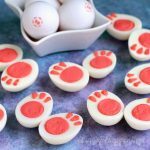 If you don’t have candy eyes, you can just make the eyes out of pie dough. 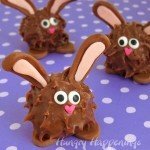 Use black food coloring to make the pupil or use a mini chocolate chip. Refrigerate pie crust turkey for 30 minutes. Meanwhile, Pre-heat oven to 400 degrees. Bake for 10-12 minutes until golden brown. The turkey feathers will brown first, but make sure the turkey’s body gets baked all the way through. 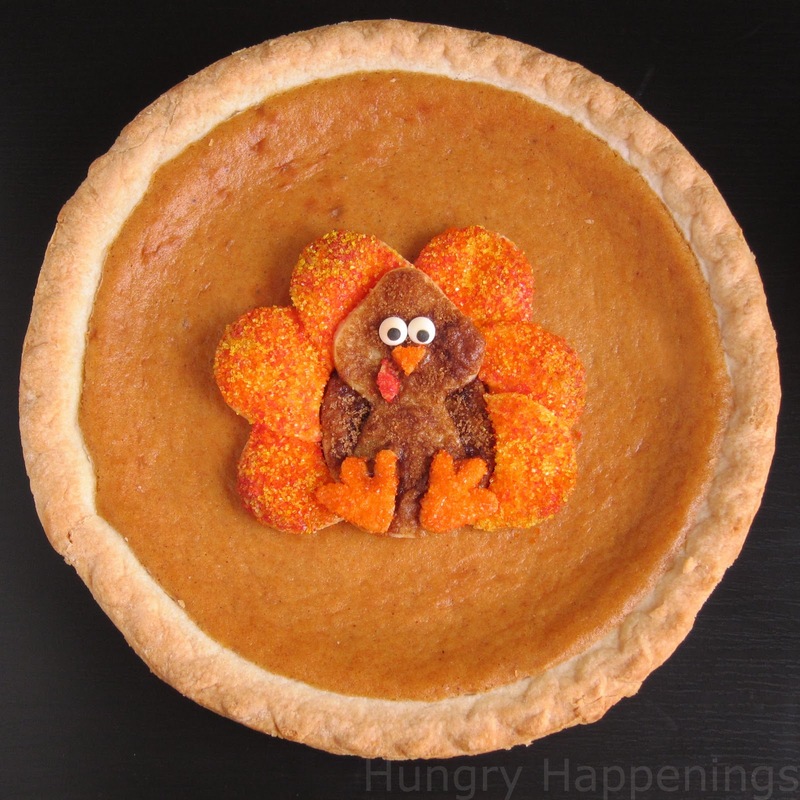 Allow the pie crust turkey to cool completely then add it to the center of your pumpkin pie. You can leave your pie like the one pictured above, or you can pipe on a border of whipped cream. Serve and enjoy. 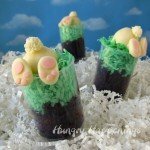 As a non-pie baker, I love the idea of embellishing store bought goodies! So cute! 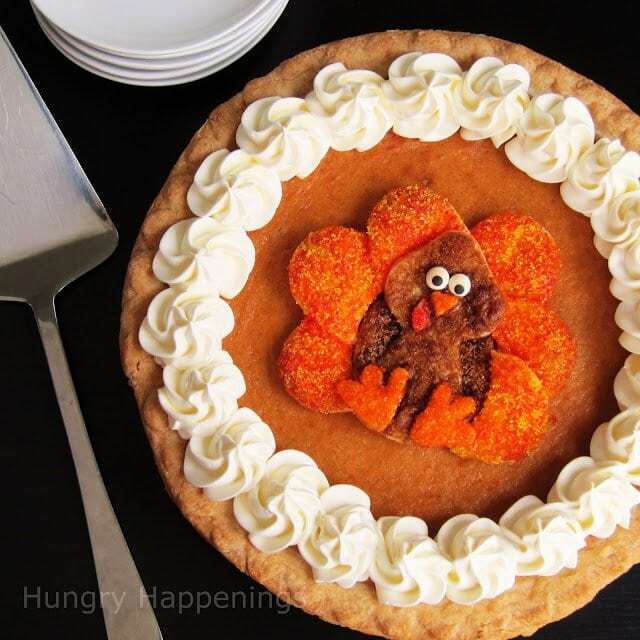 Mindy, you could make a savory version using food coloring or spices/herbs to color the pie crust. I was thinking chili powder for the turkey body, tumeric for the feet and beak, and paprika for the feathers. Could work! I'm sure there are many other spices that could be used. Julee, although I have made homemade pie dough, I do often grab a package of store bought dough, as I did here, to use for my edible crafts. 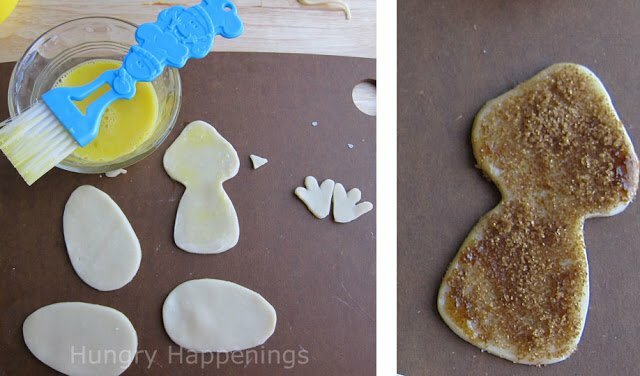 It is a perfect project for a non-baker. oh gosh! the kids would adore that!!!! 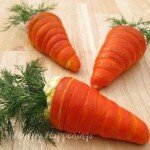 That is super cute, and I bet it actually tasted really good all on its own. Sue, I actually did eat it all on it's own and it was really yummy. I left the pie (well, except for one small slice) for my husband, but I couldn't resist eating the turkey.